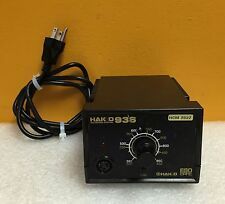 Hakko 936-12. 392° to 896°F. 936 Series. 65 Watt, 120 VAC, 60 Hz, 24 VDC. 392 to 896°F, 65 Watt. 120V, 60 Hz, 24V Output. Soldering Station. A ruler may appear in the photograph and is for size reference only. Pitch, with a max. Possible to use together with 152B (motor drive). High-quality cutting blade for a clean, smooth cut and long life. Model No: 153-2. Super-sharp, high-quality cutting blade allows you to cut all taped radial parts cleanly and smoothly. Simply set the component tape in place and turn the handle. Product Overview. Hakko T15 Series Composite Tip. This tip is used with the following Hakko Soldering Stations and Systems Hakko FM-206 3-Port Soldering Station (FM2027 Handpiece). Hakko FM-204 Soldering Station. Hakko FM-203 Soldering Station. • *Brand New* and in original packaging. • Free economy shipping to the continental US. • Will ship next business day or may even ship same day. 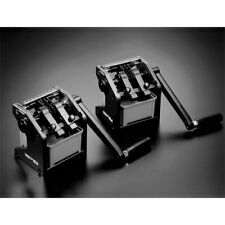 • We can also ship via other shipping methods for additional shipping cost. • Contact us if you have any questions. Lush-cut micro soft-wire cutter has 8mm long jaw with angled head for flush-cutting applications on up to 16 gauge (1.3mm) copper and soft wire. 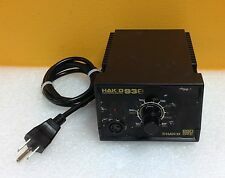 Hakko FM-2024 120V, 12W, 60 Hz, Desolder Control Box; No additional accy's! Possible to use together with 152B (motor drive). High-quality cutting blade for a clean, smooth cut and long life. Model No: 154-2. Removed from my lab. Professionally used to remove smd components. Processes up to 36,000 pieces per hour when used with the Hakko 153, 154. 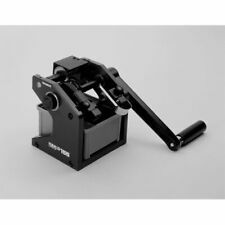 Motor drive that enables automatic cutting and forming of taped components. Constant-torque drive ensures precise and speedy processing. I'm selling Hakko Desoldering control box only. It works great just used it one time. Note that the control box is not working alone, you have to hook it up to a station like Hakko FM-203. No return accepted. The unit 100% in working condition, unit has been tested by professional engineers before we post it. Hakko Electronics Co, LTd, V606eM10, Mitsubishi FX2N 64DNET, FX2N-2LC, FX2N-4AD. Farmon I.D. 326711. Fastcom Faulhaber Federal Pioneer Federal Products Co. Futaba Futurestar Galil Motion GaSonics Gast GasTech Gaston Gates GC Valves GD California GE Fanuc GE General Electric GE Industrial Services Gems Sensors GEMU General Monitors General Precision General Scanning Genie Industries Genmark Automation GenRad Genwac Georg Fischer Geotest Gespac GF Signet Glassman Glentek Global Laser Gluton West Go Inc.Gould GPI General Precision GPI General Precision Inc.
Make: Hakko. Power: 120V, 2.6W, 60Hz. T18 series is backwards compatible with the 900M. The Hakko T18-SB is a sharp conical soldering tip for theFX8801 soldering iron. Hakko T18-SB Features Tip shape: Conical. Tip length: 13.20mm. Tip radius: 0.20mm. HAKKO Soldering Iron Tip(900M-T-3C) 4. Model and serial# printed on individual tip. Very nice product! 707-1 (end of production). Conforming product - 483-1 (production ended). - 481-1 (production ended). - 802 (C1000). White light (HAKKO). We may not be able to send it to countries which prohibit importing lithium. Instruction manual could be written in Japanese. AC 100V-85W 50/60Hz. Actual Weight: 2.4Kg. Power consumption (W): 70. Attached iron tip: T18 - B. made for Japan usage ONLY. Earth tip resistance: 2 Ω or less. Temperature accuracy: No load ± 1 ° C nominal. Weight (kg): 1.2. In order for you to use this device outside Japan. Item code: 4418. In the case where an item is stated to be in good condition, we refer to it as being in good condition in relation to its age, and we would like to emphasize that in no way do we claim that it is a new item. A:Hmmmnnnn yes. Quantity: 1 Unit. Actual Weight: 0.2Kg. A:Hmmmnnnn yes. Item Condition: Used. Actual Weight: 1Kg. 1 x HAKKO 498 Anti-static Wrist Strap Tester. To avoid product defects caused by static electricity. Length of grounding wire：2.5m. To ensure employee safety. GOOD (Green) 800K ohm - 9M ohm. Size: 80mm 40 mm 117mm.